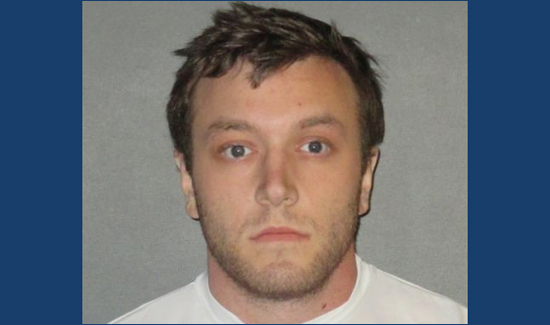 The slayings of two black men in Baton Rouge last week were likely racially motivated, police said Sunday, and a suspect — a 23-year-old white man — was in custody. In both shootings the gunman fired from his car then walked up to the victims as they were lying on the ground and fired again multiple times. The suspect, Kenneth Gleason (above), was being held on drug charges and was given a $3,500 bond on Sunday evening, a district attorney told The Associated Press. Authorities didn’t immediately have enough evidence to arrest him on charges related to the killings, but the investigation was ongoing, Baton Rouge Sgt. L’Jean McKneely told The Associated Press. Gleason was still jailed as of 6 p.m. Sunday, according to the sheriff’s office. McKneely said shell casings from the shootings linked the two slayings, and a car belonging to Gleason fit the description of the vehicle used in the killings. He said authorities had collected other circumstantial evidence but he wouldn’t say what it was. Neither victim had any prior relationship with Gleason. It wasn’t immediately clear if Gleason had an attorney or when his first court appearance would be. Smart’s aunt, Mary Smart, said she was still dealing with the shock of her nephew’s death.